3 days ago we have reported that Souq will have it’s White Weekend Sale, but today it turns out to be White Friday Sale. Their site is now giving countdown until the sale start. They have also revealed the company where they have special arrangements. 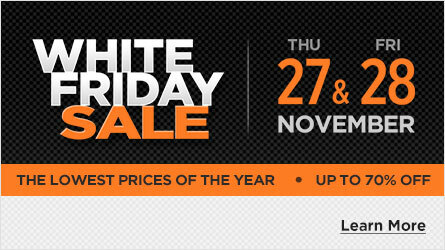 The White Friday sale will be held on November 27 and November 28, 2014. Souq is trying to replicate the sale that has been made by alibaba.com during their Singles Day event in China. We can anticipate 70% discount in some items as mentioned in Souq site. Samsung, Huawei, Xbox, Sony, Nokia, Motoroloa, Archos, Ctroniq, Infinix, Innjoo, Playstation, babyjoy, Avent, Intex, Graco, Spin Master, Ray Ban and Microsoft are some of the company who offered an Exclusive partnership with Souq during this event. In addition buyers can Get an extra 15% off when you shop with your Debit or Credit. So if you are planning to buy something from souq from the mentioned companies above, you better delay your order and make it on Nov 27 and 28. But of course your credit should be filled with purchasing power. As a reminder don’t buy if you don’t need it or you will not pay it immediately. It will be hard to pay the credit card if your purchase with out thinking. Just a reminder from me. Please be reminded also that it might be very hard to access the site on those days. So be patient in your purchase. I also hope that Souq will anticipate the massive influx of buyer on those dates.